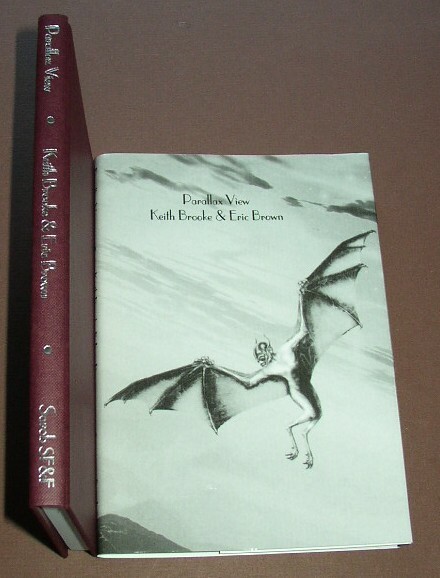 Michael (Editior) Nebula Awards 23 HBJ 1989 F-/F- very light shelf wear book and jacket. Stories by 18 authors, including Asimov, Cadigan, Haldeman, Shepard, Sterling and Watson. Signed by Walter Jon Williams on the half title page and by John Kessel at his contribution. Nice, unread copy. Limited first edition, Fine minus book and jacket housed in Fine slipcase (that was optional from the publisher). Signed by Bradbury on the title/limitation page. New and unread from the publisher, where the corners were lightly bumped during preparation for shipping. 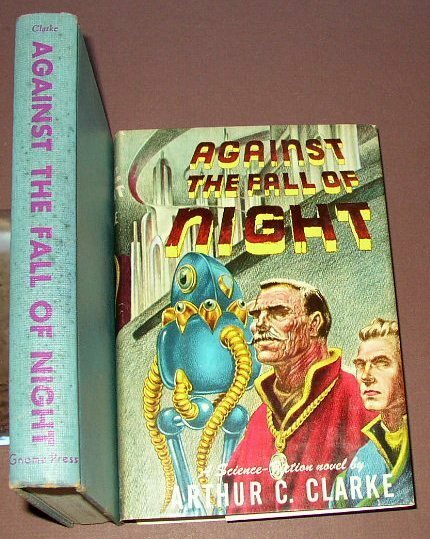 Dust jacket art is by Bradbury and William F. Nolan has provided an introduction. This is number 303 of 500 such copies. Very Good book with dusting top page edges, some very light foxing spots page edges with edge wear and rubs through the blue color on bottom edges. In a Good plus jacket that has edge wear, some small chips and losses, especially at spine ends, with slight yellowing spine and back panel, which is also mildly soiled. Jacket has triangular chip that just touches the G and P in Gnome Press. Front panel is very bright with the colors still vibrant. Detective 1991 First edition thus, 1st printing by Armchair F/NF+ dust jacket has mild rubbing on black portions, a very nice unread copy signed by Ellison on the title page. 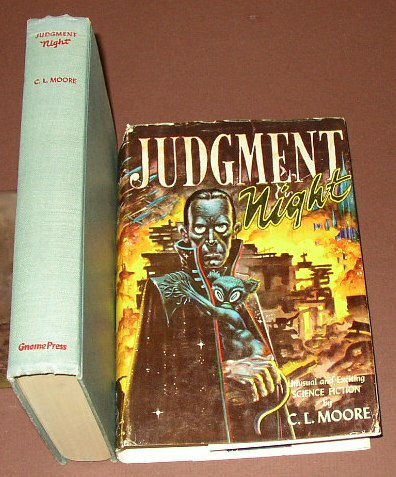 1952 First edition 1st printing VG+/VG book has edge and shelf wear with light bumps on corners, jacket has edge wear small chips, white back panel rubbed and slightly faded, rest of jacket is still bright but it has a 3/4 inch loss across top of spine, not affecting title, all in all a reasonable copy of a fragile production. 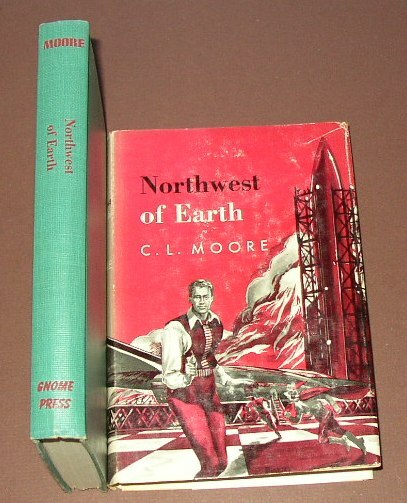 1954 First edition 1st printing VG+/VG book has edge and shelf wear with light bumps bottom corners, jacket has edge wear small chips, slight crease top right corner front panel, white back panel rubbed and slightly faded, spine is quite sun faded from red to gray, all in all a reasonable copy of a fragile production.